Phil & Linda Sommerville have a passion for helping the everyday believer come fully alive in Christ. Using the Bible as their compass they open their lives to come alongside anyone with a longing for more life in their life. They are excited beyond words to be starting Faith Alive 365 to help people develop the inner strength to live the outer life. Together Phil and Linda have more than 48 years of ministry experience working with churches, mission organizations, para-church ministries, Christian colleges, seminaries, and camps. Before launching Faith Alive 365, Phil served as the Small Groups Pastor of Bayside Church of Granite Bay, CA, named one of the “Top 20 Most Influential Churches in America”* while Linda taught at a number of Christian colleges and has been a popular retreat and seminar speaker. 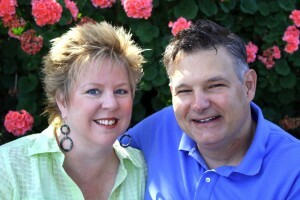 Now Phil and Linda are bringing all their experience and expertise to create Faith Alive 365. Their vision is to come alongside and serve not just a single church but churches throughout the world that have a passion for helping people become fully alive in Christ.